Membership of the association is open to all berth holders at Cobbs Quay marina, Poole. A joining fee of £10.00 is charged. 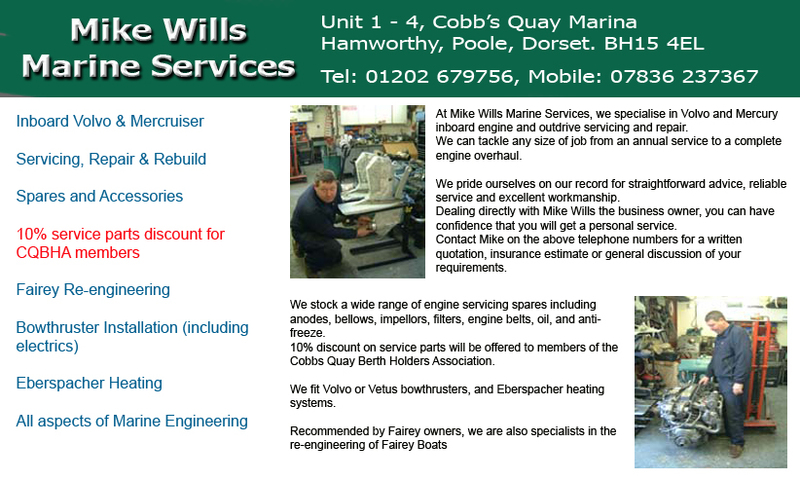 Membership remains current whilst the member keeps a boat at Cobbs Quay marina. All members have the opportunity to serve on the committee and contribute to the associations activities. When your application is received we will send you details of how to make the £10 payment. We encourage new members to browse the Merchandise section of the site. A members burgee (and any other items required) can be ordered at the same time as your membership application is submitted. The application form is in .pdf format. If you do not have Acrobat reader installed on your PC then click here to download the free viewer program. Organised cruises with safety in numbers with sociability thrown in. Help & advice about navigation, cruising, maintenance and other boat related matters. Taking you to places, helping you to know what to do next time. Access to CQBHA web site for information, reviews of activities and much more. 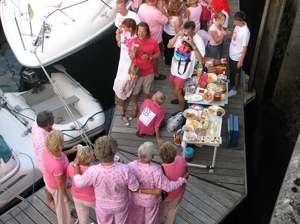 Opportunities for you and your family to join in on ‘Bar-B-Q’s or ‘boat trips’ and meet new friends. Discounts available on insurance, from training organisations and various other service providers. Personalised clothing and accessories available at discounted prices. Services and issues are raised on behalf of members with the marina management. Issues regularly discussed with Harbour Master & Local Authority. We always try, where possible, to have an end of season Dinner & Dance. This has usually been held at Weymouth on our August Bank Holiday, end of season cruise but, due to the Olympics, has not been held for the last two years.